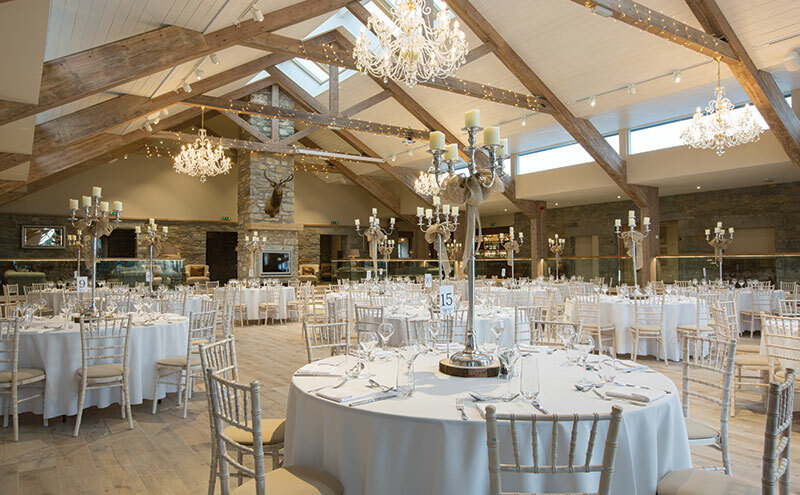 Blank-canvas wedding venues can certainly look daunting at first sight, but you might be surprised at how quickly the ideas will flow – ideas that simply can’t be achieved in an already decorated space – once you’ve had a good scroll through Pinterest and a helpful conversation with a wedding co-ordinator. 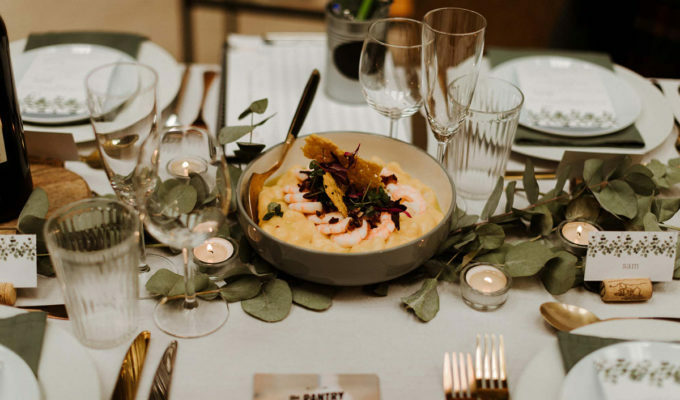 If you’re into quirky weddings and know the trad style isn’t for you, you might already have come across the Engine Works or visited it at the recent Wedding Collective Autumn Market. 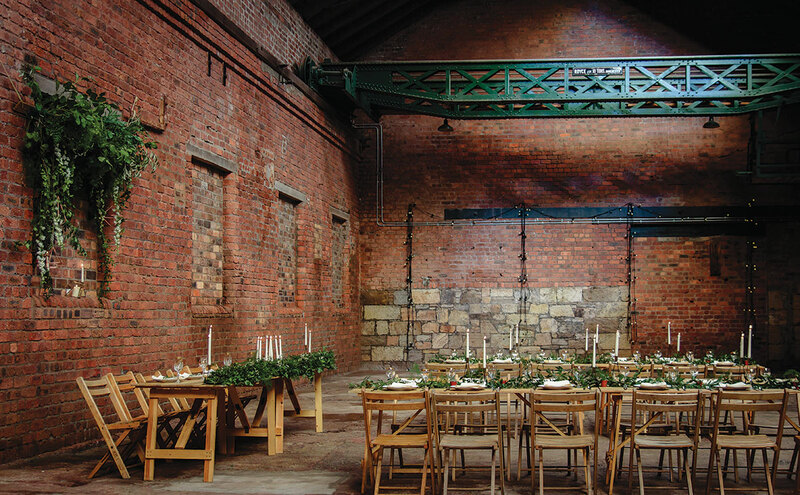 Glasgow’s super-cool new space blends the city’s industrial heritage with a contemporary setting that’s just dying to be accessorised with your vision. And you don’t need to have a heaving guest list to take advantage of it: parties from ten to 250 can make themselves at home here. If you’re uncertain about how you might tackle the sparse site, check out the venue’s website where you’ll find images of the brick-walled wonder lit up with colourful smoke flares for a rainbow effect. Equally, you could keep it more muted by filling the lofty areas with foliage. 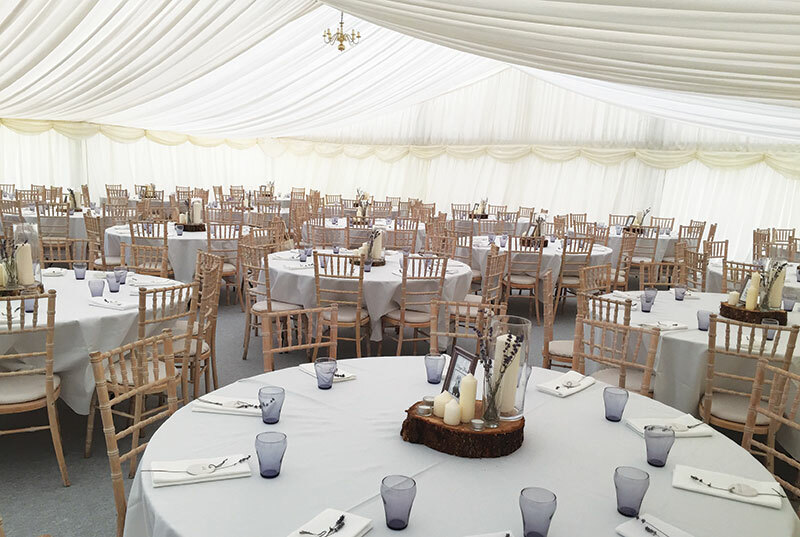 There’s a lot to admire at Dumfries and Galloway’s Dalswinton Estate – gorgeous woodland, riverside walks, manicured grounds – but we are most impressed by the sensational clear-span marquee. 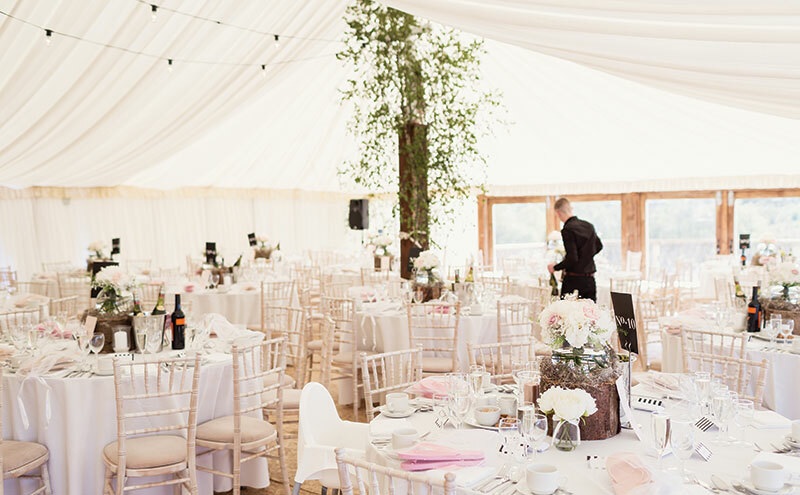 The people behind Queensberry Event Hire run the venue, and they are experts when it comes to all things marquee-related, so it’s no real surprise that something special has been created here. Nevertheless, you have to see this showstopper to believe it. It sits in Dalswinton’s sheltered walled garden and looks on to a lake – foliage and seasonal blooms are the obvious way to decorate. The clear roof means you can take advantage of the shining stars come nightfall. Who needs fairylights when you have the galaxy overhead? 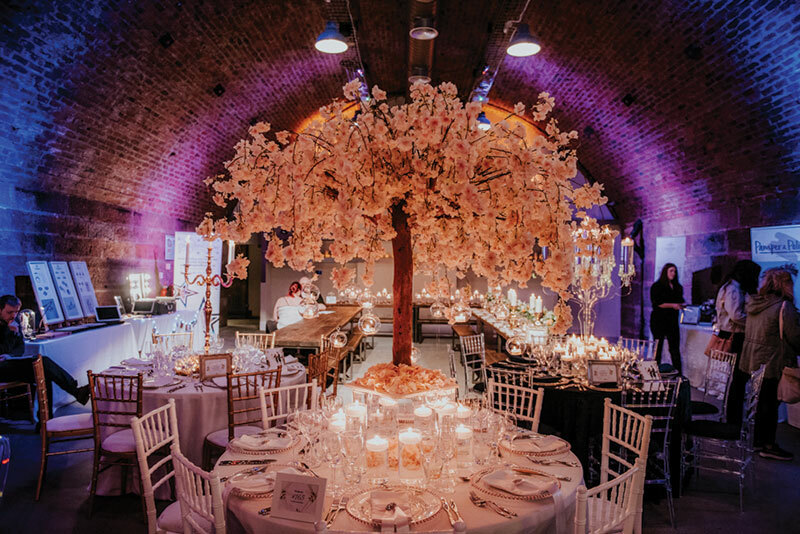 Anyone who has partied at Argyle St Arches will already know what a striking place it is, but its transformation into an incredible wedding venue that’s ready and waiting for you to make your mark takes it to a whole new level of fabulousness. 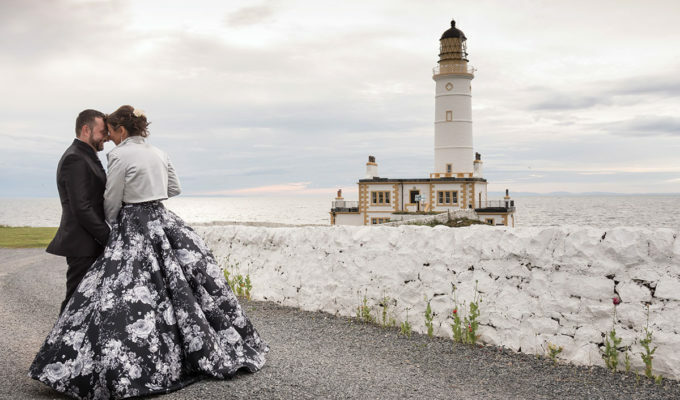 “Atmospheric is the perfect way to describe this place,” believes the venue’s Kirsteen Connell. “As well as its iconic arched ceilings and beautifully restored sandstone walls, it has a flexible layout so you can create the space that’s right for you.” There are no restrictions on how you celebrate either: “It can be cool, chilled and relaxed or super-glamorous and theatrical.” Form an orderly queue, people! 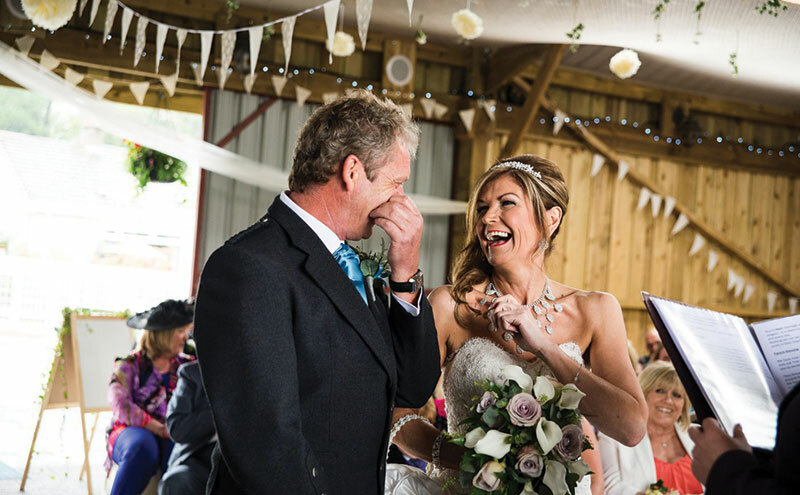 Built especially for weddings, Dumfriesshire’s GG’s Yard has it all – well, except your décor, of course. 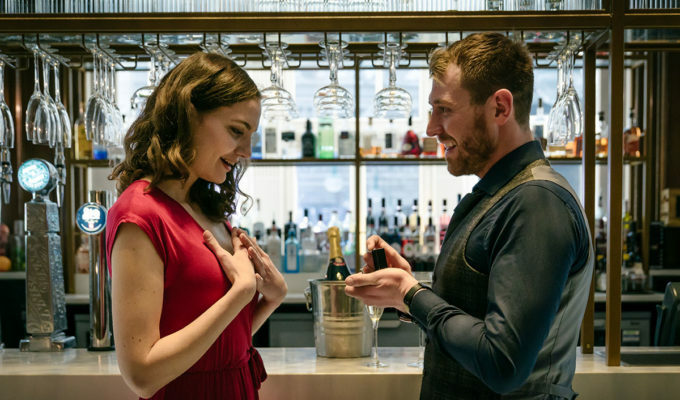 The building is split into carefully considered sections, including a cosy whisky room and a room specifically for the bride and her tribe. However, the two that you’ll want to get your hands on and throw your theme at are the ceremony wing and the grand gallery. The impossibly high beams are crying out for hanging hoop installations and strings of twinkling lights. You’ll also have bare stone walls as your backdrop that could be brought to life with colourful uplighters. 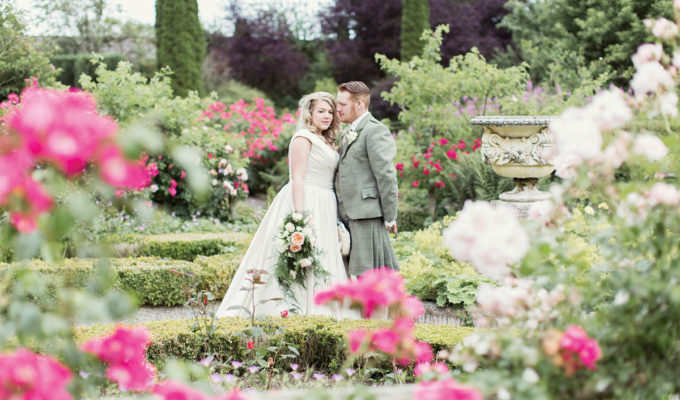 Marry at Eden Leisure Village, just 14 miles from Glasgow, and you’ll have the whole place to yourselves. 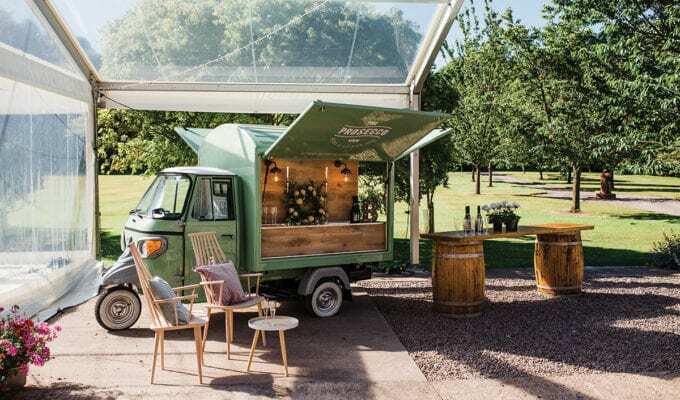 That means the Lodge, the glamping pods, the hobbit huts and the bell tents for a sleepover, as well as a marquee and a stretch tent for the ceremony and celebrations. How you decorate is up to you – and the possibilities are endless. Why not take your guests on an oriental journey? “One recent couple hung origami birds from the large pergola we have above the dance floor,” recalls the venue’s Janet Gracey. Previous duos have accessorised the pergola with bunting and lanterns too, and it’s become a sweet focal point of the marquee. It’s not just thoroughbred horses that enjoy themselves at Perth Racecourse: many couples have tied the knot here over the years, making the most of the gorgeous green surroundings. The permanent Club Lawn marquee and the barn are among the potential venues to choose, and both give you the scope to get creative with the decor. 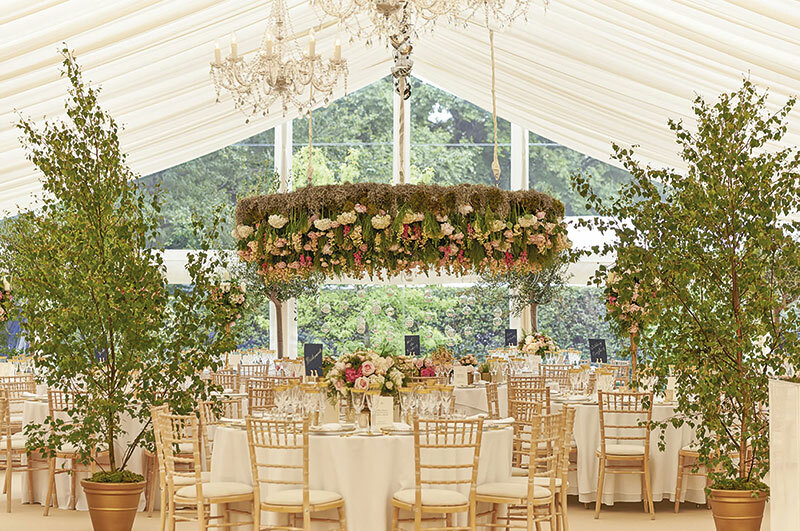 The marquee looks incredibly glam when draped with fabric and hung with chandeliers. 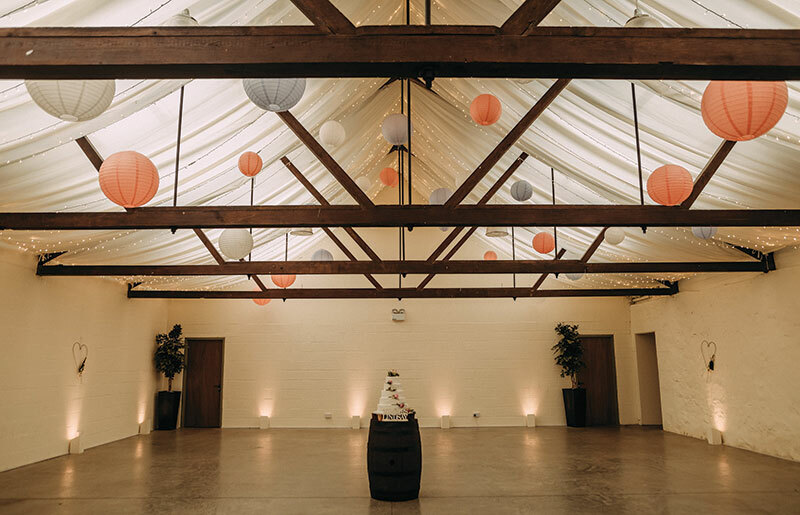 As for the barn, we reckon strings of pom-poms and colourful paper lanterns will look right at home. 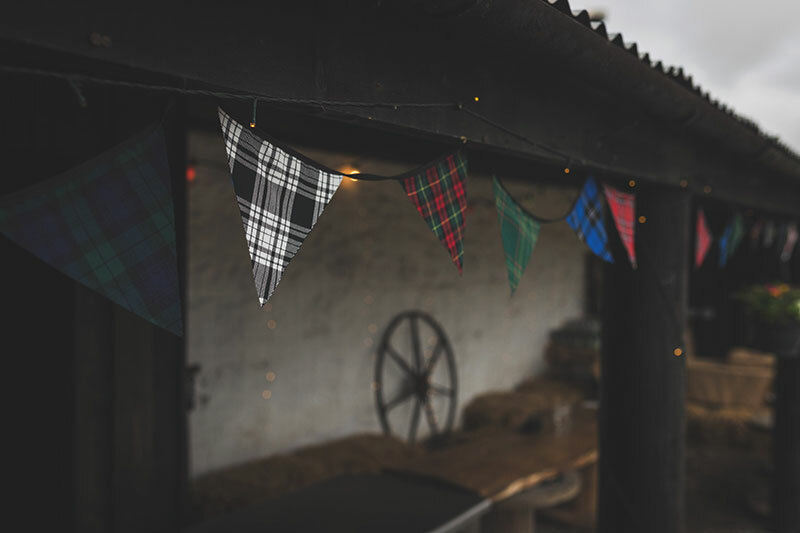 “For many couples, part of the fun of renting the barns at Wedderburn is letting their imagination run wild,” says the Berwickshire bolthole’s Cat Macdonald-Home. 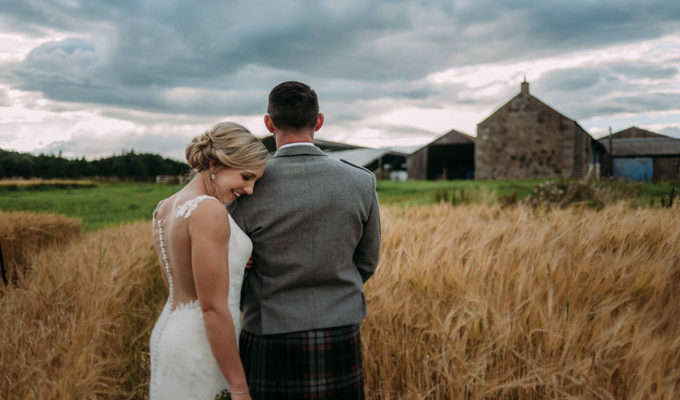 “And we have had a lot of very creative types getting married here over the years – I’m always so impressed with what people manage to achieve.” The castle and steading, near Duns in the Borders, will feel like a home away from home, and you’ll be able to style up the place as you see fit. And even if you opt to have your celebrations inside the castle itself, there’s still scope to make your mark on the place. 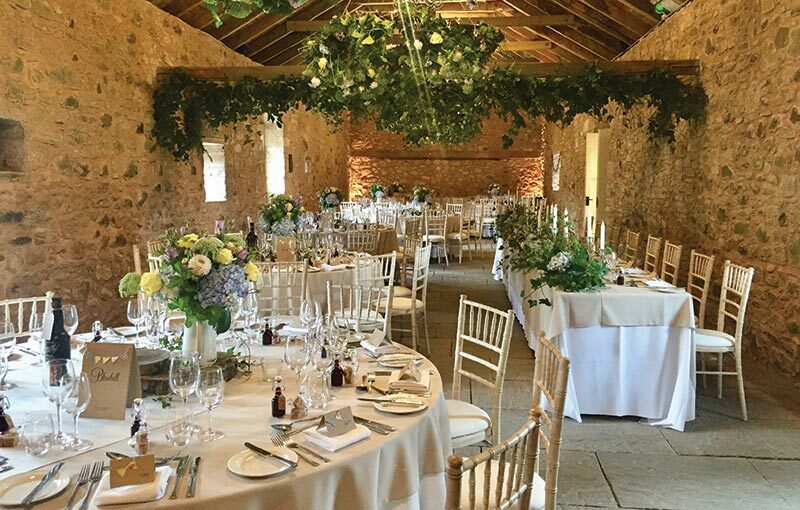 “There are several rooms such as the hall, the ballroom and the dining room that can be dressed to fit with your wedding colours and style,” explains Cat. “We’ve seen some amazing floral schemes in the magnificent hallway – from large country-house-style arrangements to modern sculptural designs. One couple earlier this year had a huge pyramid of sunflowers.” The delicate blue walls of the dining room and ballroom will look regal when paired with golds and rich reds. Exposed beams are always a winner at a wedding venue. They give the space a rustic touch but, even better, they provide an unbeatable structure for your decoration. 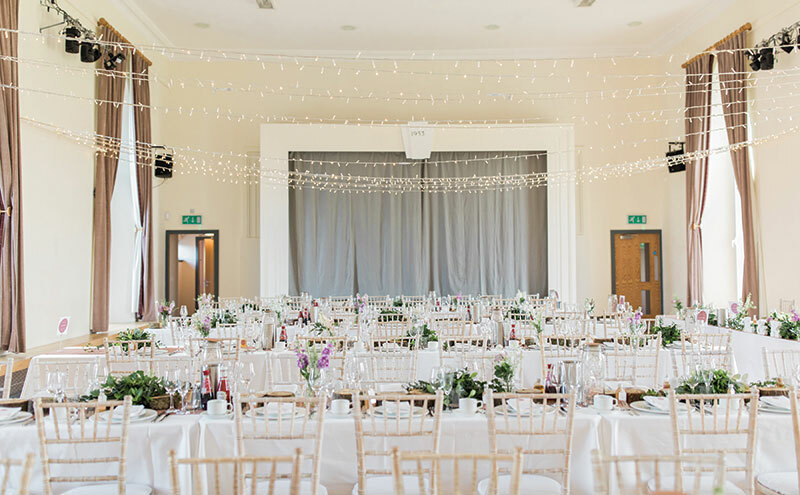 The obvious thing to do is string up fairylights or suspend lanterns or chandeliers from the beams, or try wrapping them in foliage or fabric. Bachilton Barn in Perthshire has scope for all of this, and is just waiting to be brought to life by your ideas. It sits in 700 acres of lush countryside and has a gazebo close by that you can decorate too.